In its prime, Al Baker’s was the place to go for many musicians like myself to hear, and watch the amazing Herb Drury Trio with Herb on piano, Phil Hulsey on drums, and Jerry Cherry on bass fiddle. The trio was incredible. Jerry was an astounding bassist, and Phil was one of the most creative players in town for jazz, and swing. Herb was like George Shearing; had the touch and luscious quality in his playing. These guys used to swing hard. 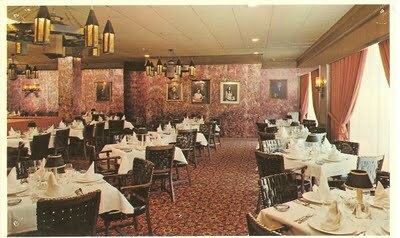 I was a waitress there in the early 70's...A group of Calgon Corporation execs I served left me a 200.00 tip....WOW! Also, I was in love with the chef at that time, we were really in love .....we were so young.....Unfortunately he died in a motorcycle accident.